Lisa is Managing Director for our Nursing, Health & Social Care and Social Work specialisms with responsibility for recruitment across all temp and perm markets including allied health professionals, qualified nurses, support workers, health care assistants and social workers. Prior to Search, Lisa held a number of director and senior management roles across Europe, almost all of which were spent in the Medical, Health and Social Care industries. 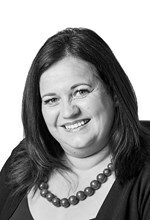 She leads a highly skilled team of over 60 specialist recruiters with wide ranging expertise across the healthcare sector. The growing team enjoys a particularly strong presence in Manchester, Sussex, the Midlands, Yorkshire and Liverpool, while a recently established team in Scotland has resulted in full UK coverage. Since joining Search in 2016, Lisa has enjoyed working for an employer which lives and breathes its values by engaging, supporting and mentoring employees. Lisa divides her time across all of the Search offices where the Medical, Health & Social Care teams are located.